September 08 2008 Amsterdam, the Netherlands. February 28 2009, Ciudad Real, Spain. Picture: Gabriel Martín. 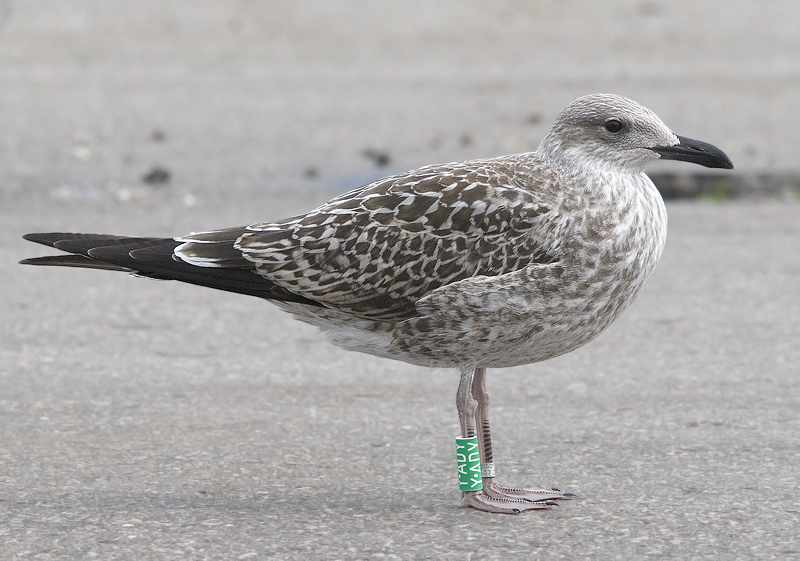 Ringed Lesser Black-backed Gull Y.ADY from Forteiland, IJmuiden. 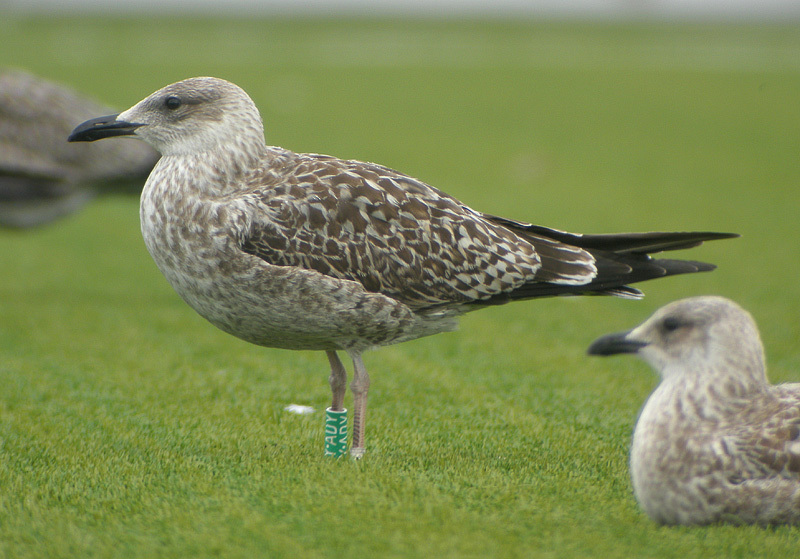 Ringed by Fred & Kees as juvenile on June 30 2008. Scapular Moult Score in August 2008: Upper Scapulars (us) few missing on 13/08, then 0-25% 2nd generation on 20/08; Lower Scapulars (ls) 0% 2nd gen; total scapular score: 0-25% 2nd generation. Prims & Secs & Recs & tertials all juv. Coverts: gc 1-> juv, mc 1-3 juv, mc 4 old 2g like (diff pattern juv?) mc5-> juv, llc 1-> juv, lc juv (right side: 3x diff pattern). below: 08/09 (picture Ruud Altenburg). 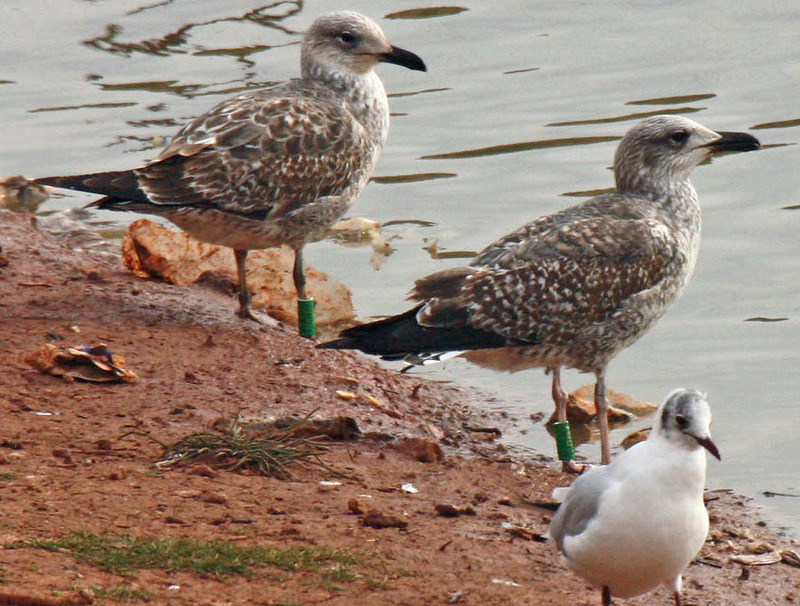 LBBG graellsii 2cy YADY & KHAV February 28 2009, Ciudad Real, Spain. Picture: Gabriel Martín. 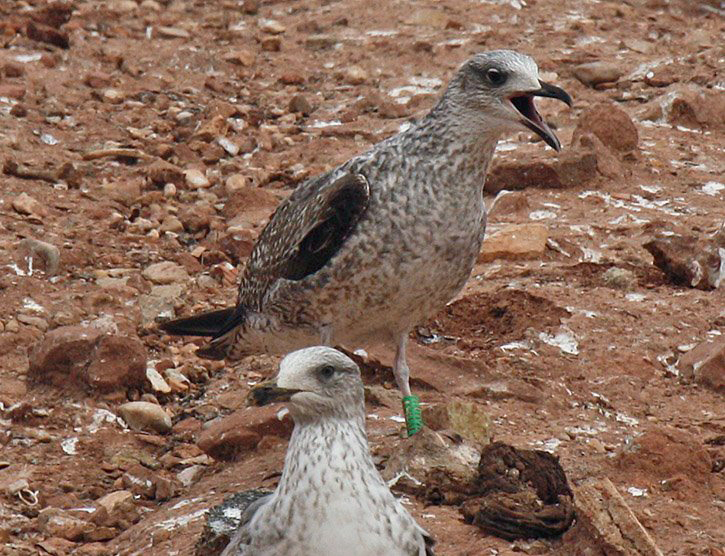 KHAV was ringed at Vlieland colony, the Netherlands, graellsii "Dutch intergrade". Scapulars replaced. 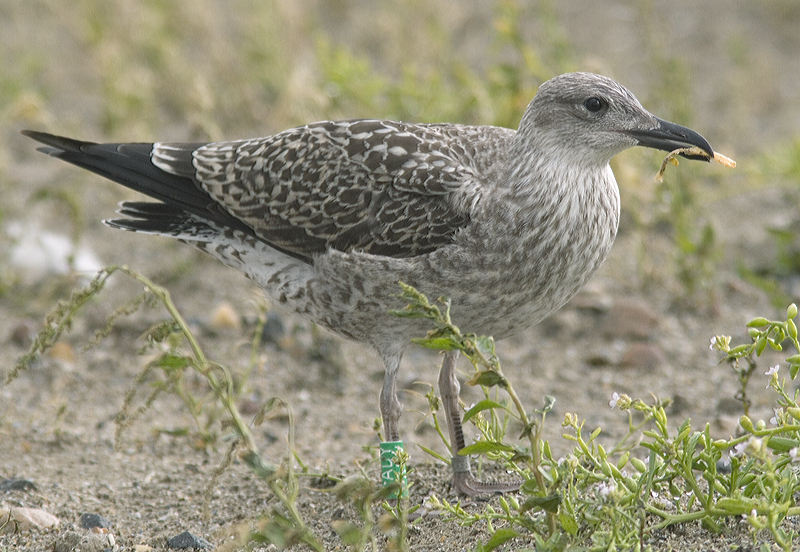 Wing-coverts and tertials still juvenile. 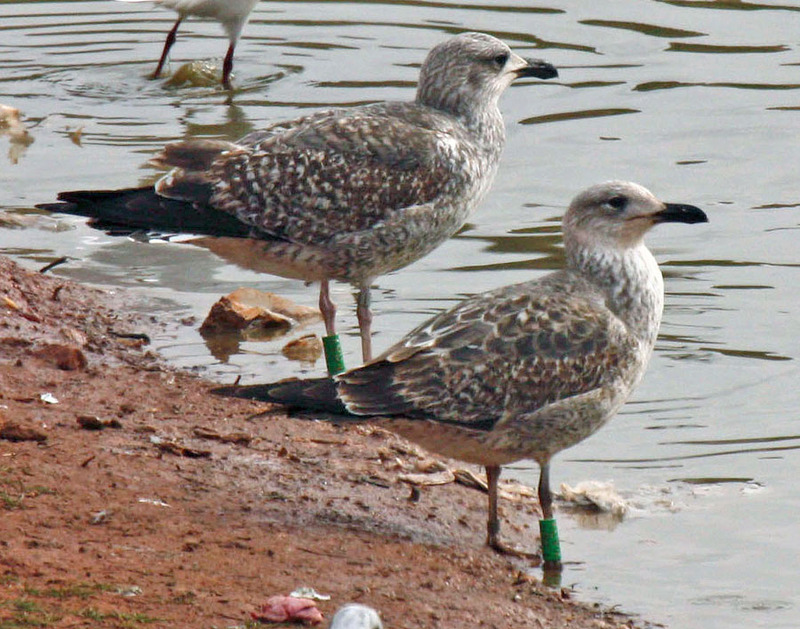 Lower images: KHAV left green together with YADY right green from IJmuiden. Moult scores similar.